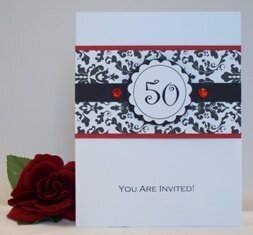 Make your own invitations and help set the tone for your party. 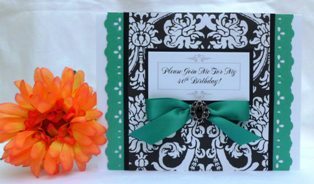 Depending on what type of party you are having, pick colors from scrap book pattern paper or use embellishments that relate to your party's theme. 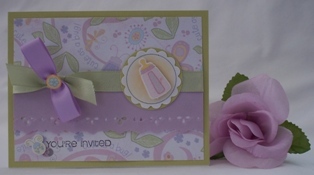 Think of shortcuts and gather help if you are planning on making a lot of invitations. If you'd like to save time, consider using precut and scored blank cards. This will not only save you time from having to cut and score all the cards yourself but also money since the envelopes are generally included in the pack. 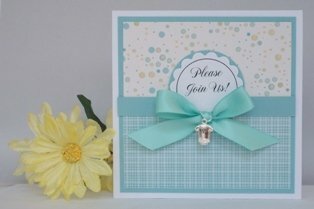 When you think about the baby shower invite, think of baby items like rattles, diapers, safety pins or find a patterned paper you like. Colors can be soft like pastels or bright like the primary colors. 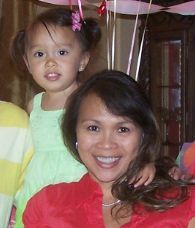 When making birthday party invitations, customizing them is relatively easy if you have a computer and printer. Create the sentiment portion on your computer and you can print it out on cardstock paper or vellum to make it a little fancier. 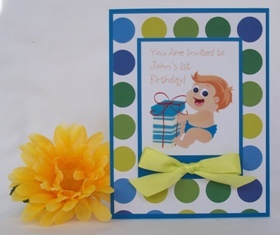 Get the party started and make your own invites for birthday parties. Make it simple or intricate, small or big, plain or festive. For the birthday party invitations below, I used my computer to print the birthday year and circle border and then punched it out with a scallop circle punch. 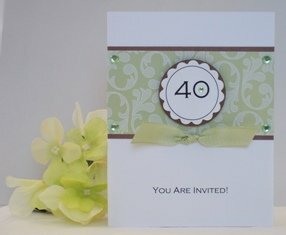 Here's an idea for a 40th birthday party invitation. It's relatively simple and if you don't have a scallop circle punch, you can make the shape a square instead of a circle. Here's an invitation for a boy's first birthday. I used a card making software program called Ecard Wizard to help me design this card. 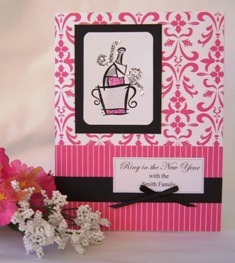 Holidays are meant to be festive so don't forget to add sparkle or glitz when making New Years invitations. WEDDINGS: Don't be intimidated in making your own. There are so many ready-made embellishments available to make your wedding invitation elegant and tasteful. Welcome to Card Making Corner. My name is Chloe and I am a card making enthusiast. 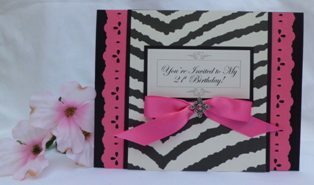 I love sharing my card ideas so peruse my site to discover beautiful and fun greeting cards you can make yourself.